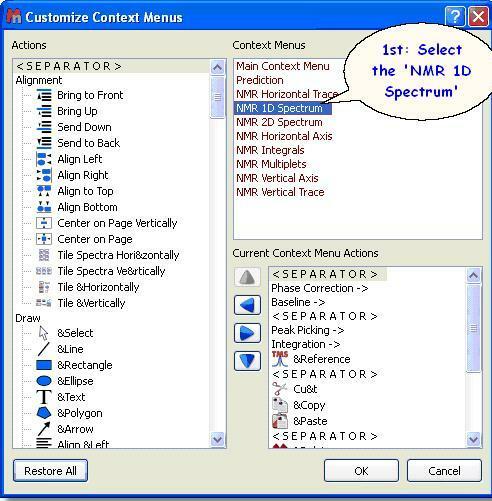 You will also find useful contextual menus on 1D spectral windows, page navigator, integral curves, traces, axis etc. 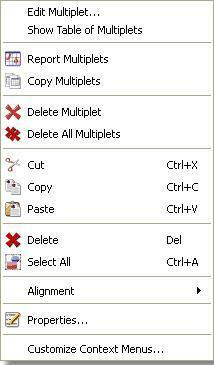 How to customize the contextual menus? 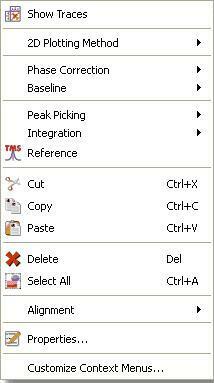 As you will notice it is possible to customize the contextual menus, just by selecting ‘Customize Context Menus’. 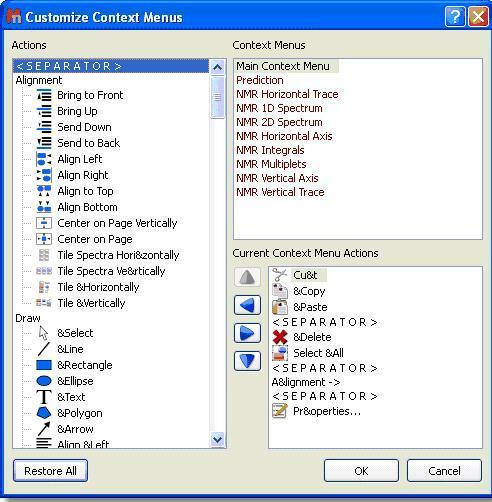 This will display the ‘Customize Context Menus’ dialog box which will allow you to customize the selected ‘Context Menu’ (highlighted in red in the picture below) by just using the arrow icons to add, remove or sort the desired features. 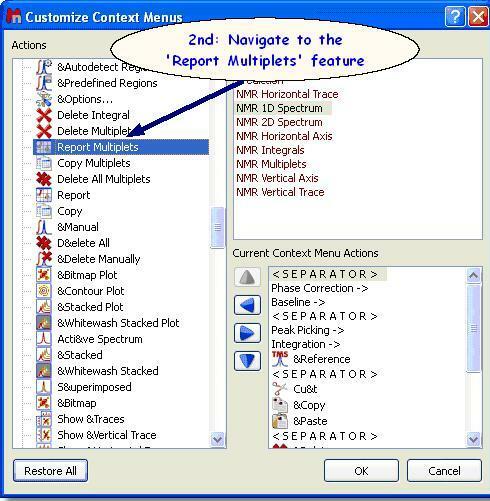 Please bear in mind that you will be able to remove the undesired features, just by clicking on the ‘Left Arrow’ button of the ‘Customize Context Menu’ dialog box. 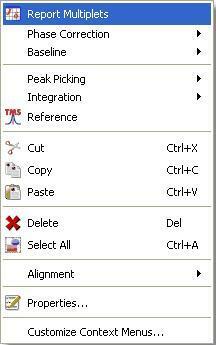 You can also sort the features on the context menu just by using the up and down arrow buttons. 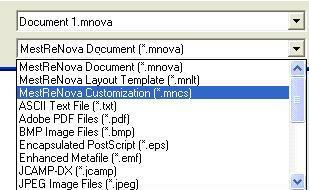 Then, you will be able to open any Customization file just by following the menu ‘File/Open’ (exactly in the same way as this would be applied to a spectrum). 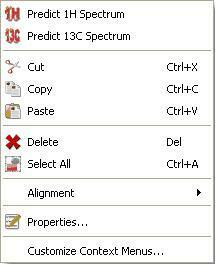 Next Article How to process Varian DEPT spectra?